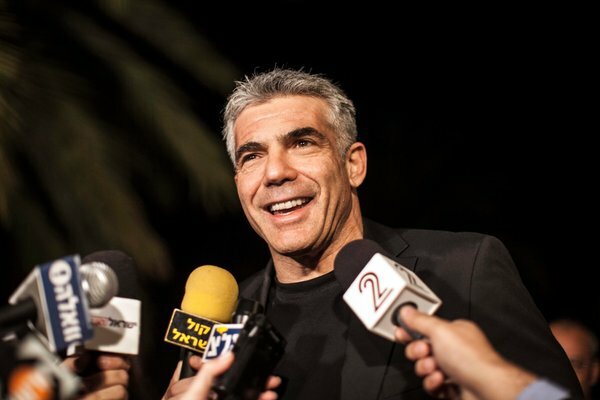 UPDATE: With 90 percent of the vote counted, Israel Radio reported Wednesday that Netanyahu’s conservative Likud-Beiteinu ticket was poised to take 31 of Parliament’s 120 seats. The right wing and religious parties that make up Netanyahu’s current coalition combined for 60 seats, equal to the total won by the center, left and Arab parties. To form the new government, Netanyahu will be forced to bing in into his coalition a centrist party, most likely the “There Is A Future” party which surprisingly finished second by capturing 19 seats. Exit polls show Israeli right winning a narrow victory over the centrists in today’s election for the 19th Knesset. According to these polls, Prime Minister Benjamin Netanyahu and his Likud-Beiteinu list is performing far worse than expected, although he is still expected to serve a third term as premier. The polls closed at 10 p.m. local time (3 p.m. EST). Netanyahu-Lieberman list is now expected to win only 30 seats in the 120-seat Knesset. More significantly, the exit polls show a tight race between the bloc of hard-right and religious parties, with a razor-thin majority of 61 seats, to 59 for the center-left factions. Netanyahu is is quite undesirable but Zionists are not Nazis any more than Ayatollahs are pigs. The Zionist misadventure in Gaza to gain support amongst the scared Zionist terror tourists failed and showed the incompetence of the deadbeat US taxpayer funded Zionist rabble. The Zionists are facing multiple challenges in the region now with Egypt shifting, Magreb destabilized and Syrian-Iranian-Iraqi and Hezbollah axis stregthening. Nothing Yahoo also faces less US taxpayer largesse as uncle Samuel is broke and imploding too. Not a great future awaits the Zionist usurpers of Palestine. The whole Zionist entity is on BORROWED TIME and on STOLEN LAND. The orthodox Jews mostly from Jew York and Brooklyn will push the Zionist occupiers towards a major confrontation with the Arabs whose population even in occupied Palestine will outnumber Jews by 2020. The so-called Russian Jews who immigrated from Ukraine and Russia after the USSR collapse as economic refugees are also facing economic hardships as life in the old countries is looking better. They have their bags packed. The Falasaha and Separdic Jews are now used as an underclass for all menial work and there is a lot of socio-economic dissent. The Zionist experiment is falling apart fast. Did you read my post before commenting? Or is this the pre-written text you are supposed to post as your “comments” on any discussion having to do with Israel? Next time, please try to read the post on this blog and comment on the content. WHY another more article has been removed from this blog. This time ; on January 22, 2012 an article - about israeli election contenders (parties) and their percentage chances has been removed from readers' access ?? Is this Mark's invention and proof of his independent views from the USkowi's ones ? You probably mean the 19 January post; it's still there. No posts has ever been removed from this blog. For someone who doesn't publish comments under his real name, you act very rudely. I am proud of my last name and your ridicule does not take anything away from it, dream on! Uskowi-!- do come down! He is in the bus!.He is making a general response as per ISRAEL'S position and conditions. What ever those Jew haters and bigots who support those murderers in Tehran say, Israel is the only democratic country in the middle east. And this coming from an Iranian. I agree 100% (one Iranian to another!) but I would also add that democracy cannot work in any "Moslem/Islamic" country, some would say that it works in Turkey, but I would disagree with that too. I believe that religion and state have to be separated before democracy can work. How can religion in Iran be separated when the state is run by the "religious"
I could not understand the first half of the sentence. Would you repost your comments, thanks. Don't be offended by his remarks.What do you expect from someone that was taught in a barrel by a number of eager mullahs! Anonymous 11:07 AM. Unfortunately, zionists in the state of Israel don't agree with you. The basis of that state IS religion and using one, particular religion as the basis of its existence.